After completing the whole approval process which is necessary for connection, Booking.com will remove all your price and availability details from the Booking.com extranet as required by its own rules. 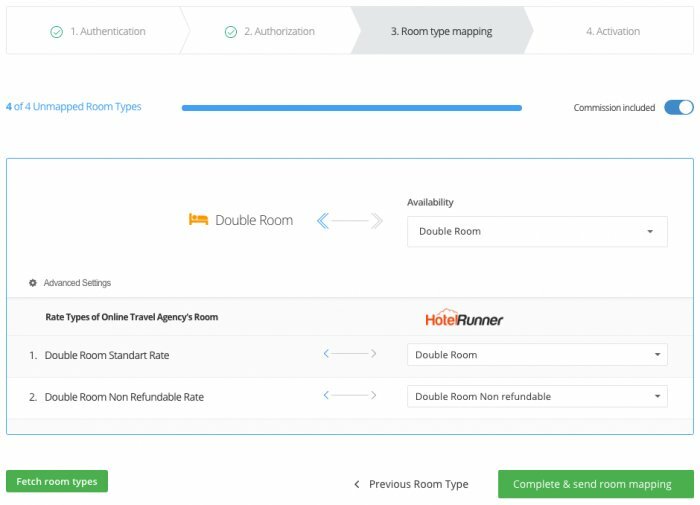 Therefore, the price and availability details of all room types must be identified on the “Calendar” section of HotelRunner extranet before connection. After connection, HotelRunner will transfer your full inventory to Booking.com. When your Booking.com XML connection is done, Booking.com reservations will be sent by HotelRunner via e-mail. You can also view your reservations clicking Reservations section on the upper menu of HotelRunner extranet. You can have the reservations among the past ones which are booked in the last 15 days and the ones with check-in dates haven’t passed yet by clicking the option before the last activation step during your connection process. If you click that option, you will be notified by HotelRunner with an e-mail including those past reservations. The credit card details for reservations will be obtained from the HotelRunner extranet. Please login your Booking.com extranet (http://admin.booking.com) with your username and password, and follow the steps below respectively. Please select “Account” from the upper menu. Please press “Start” and type “HotelRunner (HDN)” in the “Search for Providers” field on the opening page and select “Two-way Reservations & Availability” (There are three different XML connections on Booking.com which are the Two-Way Connection, One-Way Connection, Prices and Quota Only. Among them, only the Two-Way Connection is eligible for both inventory and reservation traffic.) and then click “Next”. After this step, you will be waiting for HotelRunner approval to continue. To start connection on the HotelRunner side, first of all please click Channels / Online Travel Agencies sections respectively from the upper menu of HotelRunner extranet. Please follow the instructions by clicking “Connect” inside Booking.com. Please type your Booking.com hotel ID in the “Hotel ID” field and then click “Next”. 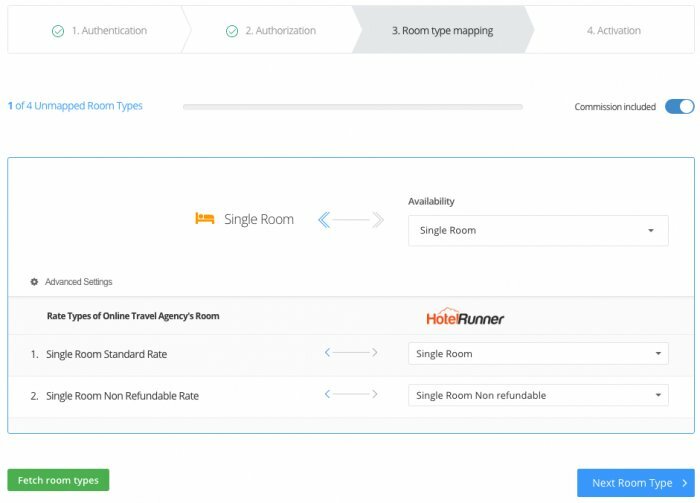 At this stage, your Room / Rate Types on Booking.com will appear respectively on the HotelRunner Room Type Mapping page. If not, please contact your HotelRunner representative. Firstly, please select the relevant room from the “Availability” field for your rooms on the channel and make the mapping of main availabilities. Secondly, make the matching of the rooms with the rooms under “Rate Types for Rooms in the Online Travel Agency” which you will assign your rates to. After completing that mapping, please click “Next Room Type” and then follow the same steps respectively for other room types as well. To make detailed mapping for rooms on the channel, please click Advanced Settings. You can make additional amendments and set your channel commissions over the Advanced Settings field. 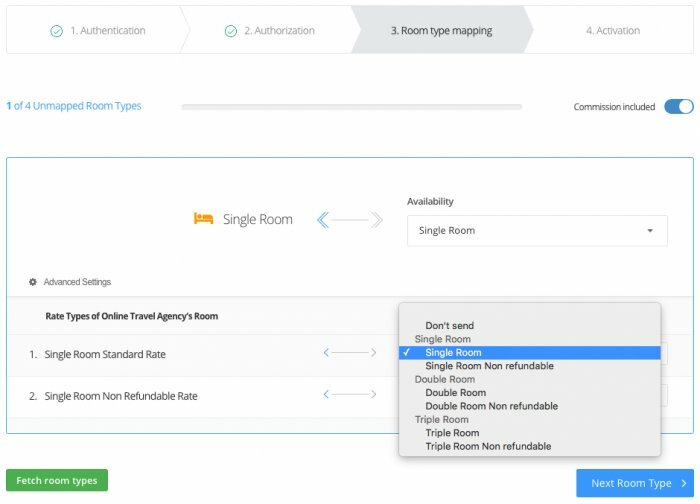 Furthermore, if you are not willing to assign rate or availability of the mentioned room to the channel extranet, you can set a list of limitations and rules during your mapping process by clicking the Read Only field (Sending Updates Is Not Possible). Base Allotment: If you have a base allotment for this room type on the channel, you can define the number of base allotment in this section. Adjustment: If you would like to assign a different rate than the rate that you mapped before, you can edit it in this field. Commission: If you would like to assign net rate without commission to the channel, you can type your commission rate to be deducted from the total rate in this field. If you send gross rate (including commission) to the channel, you do not need to change anything with this section. Example: When the “Commission included” option is active and you type “20%” as your commission rate; “$100” which is sent through calendar will be delivered as “$83,33” to the channel extranet. When the “Commission included” option is passive and you type “20%” as your commission rate; “$100” which is sent through calendar will be delivered as “$80” to the channel extranet. Stop Sale: When this option is checked, the mentioned rate type will be closed for sale for the whole calendar on the channel. Read Only (Sending Updates Is Not Possible): If you do not want to send any updates for this rate type on your channel (rate, availability, min-stay, stop-sale etc. ), please check the “Read only” option. When this option is checked, your reservations will still be displayed on the HotelRunner extranet. Master Rate: If you check “Master Rate” option for this rate type, it will be displayed on the top of your calendar. Once you complete your mapping for whole room and rate types, please click the “Complete & Send Room Mapping” button. After saving your whole mapping process, you will see the activation screen. Before clicking the “Activate” button on this screen, be sure that your HotelRunner approval for your connection is done. After the HotelRunner approval, please login your Booking.com extranet again. Please select “Account” from the upper menu and click “Channel Manager” over the pop-up page. Proceed to 5th step by giving the last confirmation. After that you will see on the screen that your XML connection is active. When you finish this process, please click “Activate” button in the final step of the Booking.com connection. After the XML connection is completed, all your inventory (rate, availability) on your HotelRunner calendar will be transfered to the Booking.com extranet. Unless you finish the approval process, you can not make any updates over HotelRunner extranet for Booking.com and you continue to get errors. Because Booking.com is a B2C channel, you must send commission included rate (gross rate) to the channel extranet. If you already have promotions on Booking.com, you have to continue to manage those promotions over Booking.com extranet after the XML connection as well. 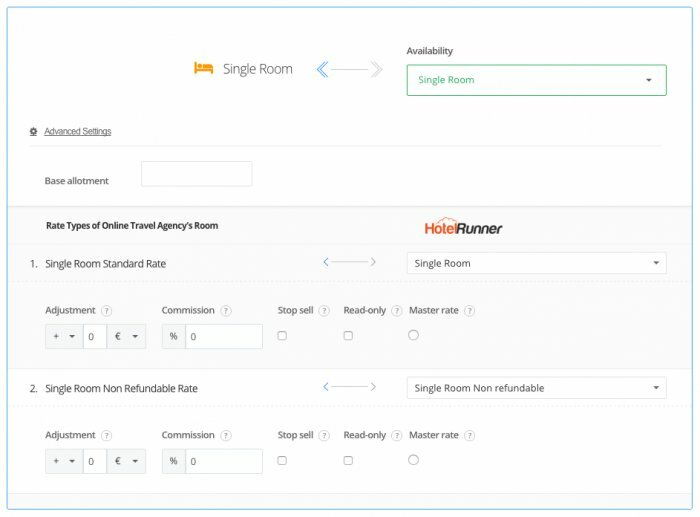 After connection, please check all your rates and availabilities through HotelRunner calendar.